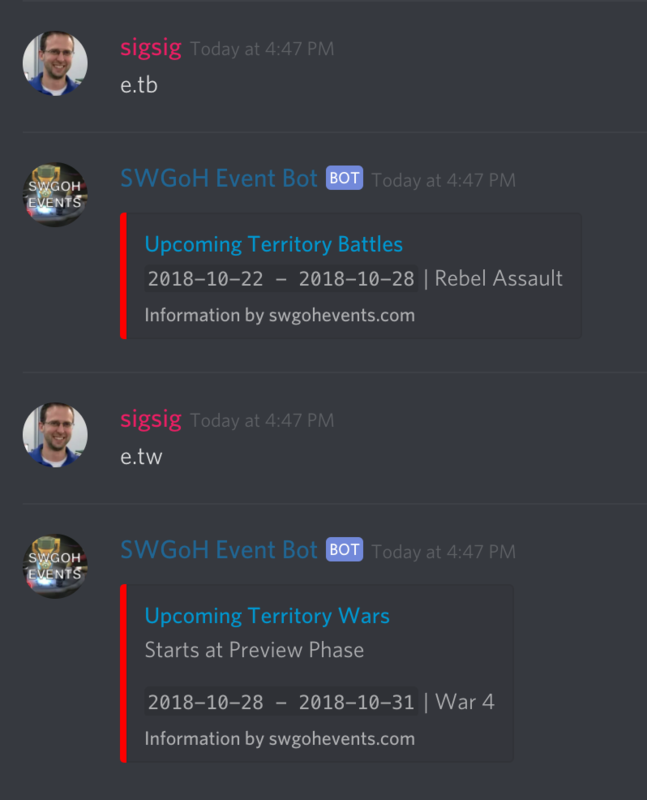 I recently launched a new bot which ties into swgohevents.com that can be used from your own Discord server. Here's some examples of what the bot can do. Display a calendar of upcoming events. Bold signifies "featured" events. Nice, is it showing Ads? 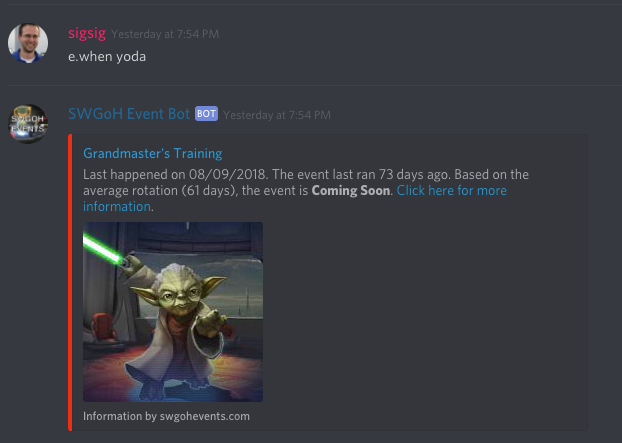 The only "ad" is a link to the event on swgohevents.com (for more information) which doesn't have ads. 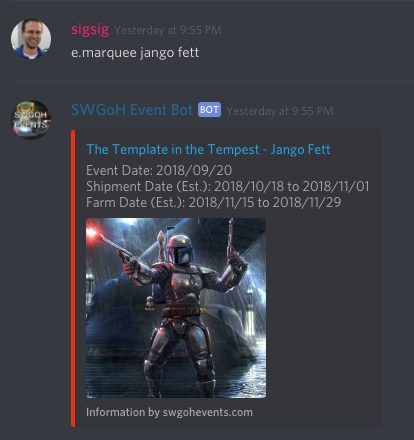 Nothing I have created for swgoh makes any money in any way. Has that site gotten better? It used to be full of misinformation but (for that exact reason) I stopped going there a long time ago. The site no longer lists "estimated" dates for events since no one knows what estimated means. 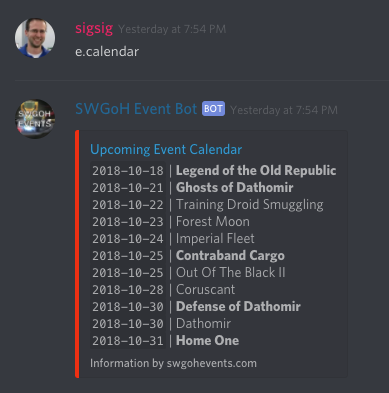 Other than that, the dates listed are either datamined or directly from CG's calendar. 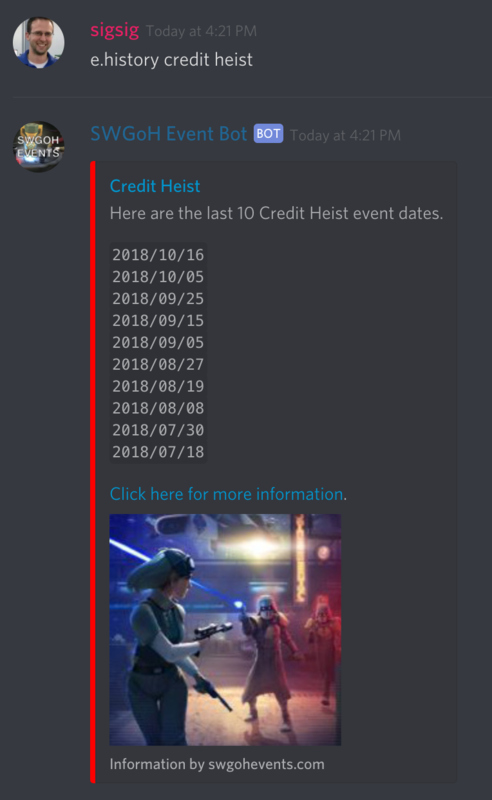 The marquee calendar is obviously estimated dates based on CG's cadence, however.